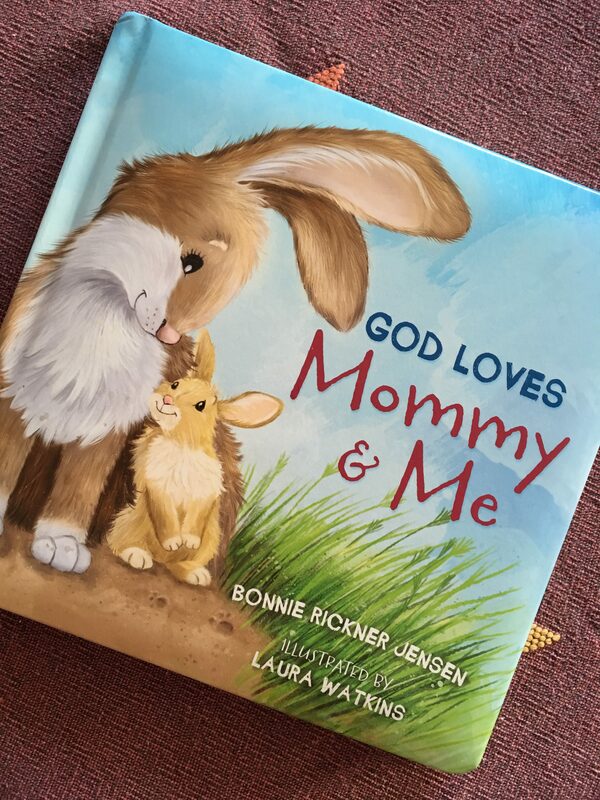 New from TommyNELSON Publishers is this cheerful board book, God Loves Mommy & Me by Bonnie Rickner Jensen. The book is illustrated by Laura Watkins. 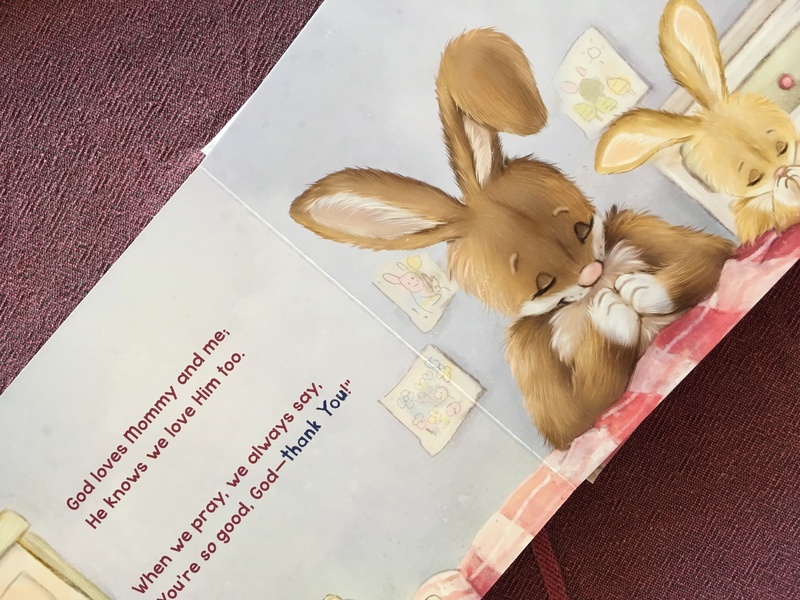 This children’s board book is illustrated with two long ear bunnies, and cheerful colors. Young children will find the story delightful, and will likely recognize activities they do illustrated on the pages. This is a good book for stimulating conversation between the child and the loved one who is reading to her. Aren’t those words sweet and true?! As mothers, we do want the love of God to be evident in us, to flow through us to our children, husbands, and the world around us. This is another book affirming the love and purpose God has for the different roles in family life. And in this case, the role of Mommy in the raising and nurture of children. I think it is important and good that these books are being written, and that the family is being esteemed by authors and publishers at this time. If you are interested in adding God Loves Mommy & Me to your family’s library, you can do so here. There is also a giveaway happening for the book, HERE. 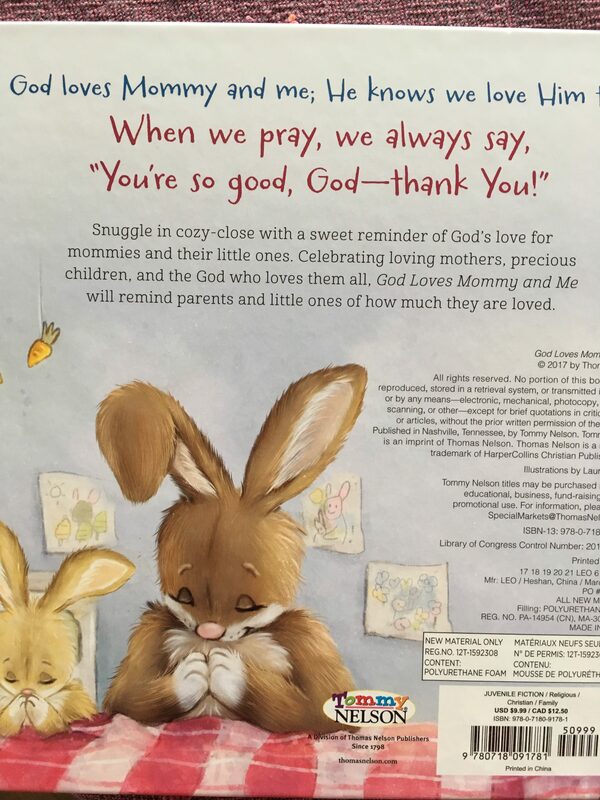 This complimentary copy of God Loves Mommy and Me was provided by FrontGate Media, in exchange for my review.